The Nun is the latest addition to what is being dubbed The Conjuring Universe and stars Taissa Farmiga as Irene, a nun-to-be who’s brought on a mission to Romania to investigate why another nun had previously killed herself. Little do they know, however, that something unholy resides at this beautiful abbey and it’s going to be up to Irene, Father Burke (Demian Bichir), and a local swooner who goes simply by “Frenchie” (Jonas Bloquet) to stop it. If you’re familiar with The Conjuring films, you are already well aware of what this unholy being is. If you’re not, you can probably put it together pretty quickly from the opening of the film and, of course, its title. 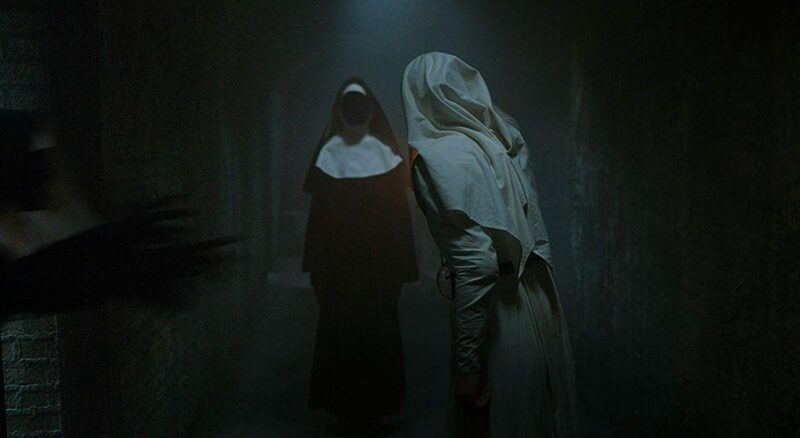 The demon nun, Valak, was a terrifying presence in her introduction in 2016’s The Conjuring 2, and one could assume that this spin-off was likely supposed to give a lot more substance to her story. To me, this movie is on par with the first Annabelle spin-off, leaving much to be desired by its end. Utilizing common horror tropes and predictable jump scares, I found myself bored throughout the first two-thirds of the movie. Elements of foreshadowing would be used, only to be fulfilled within the next ten to fifteen minutes making the buildup feel worthless. When they explain the reasoning behind bells being strung over graves for the fear of being buried alive, you know someone is getting buried alive. Moments like this happen throughout the film, not to mention an entire sequence of heavy-handed exposition used solely as an information dump for the viewer about two thirds of the way through. On the plus side, however, the film does have some really beautiful shots and camera work (sans the obvious and green screen use early on). Director Corin Hardy has a great eye for catching and maintaining a gothic vibe throughout the film. One of the most memorable sequences comes about an hour into the film and involves some incredible camera work capturing Farmiga encountering the demonic nun in a basement corridor. Performance wise, Farmiga did a decent job with what she had to work with in Gary Dauberman’s script, as did Bichir as the priest leading the investigation. I found Bloquet’s character of Frenchie to be pretty one-dimensional, however, and increasingly more annoying throughout the film as he’s basically only used as comic relief, spitting cheesy one-liners to follow seemingly every bit of dialogue. 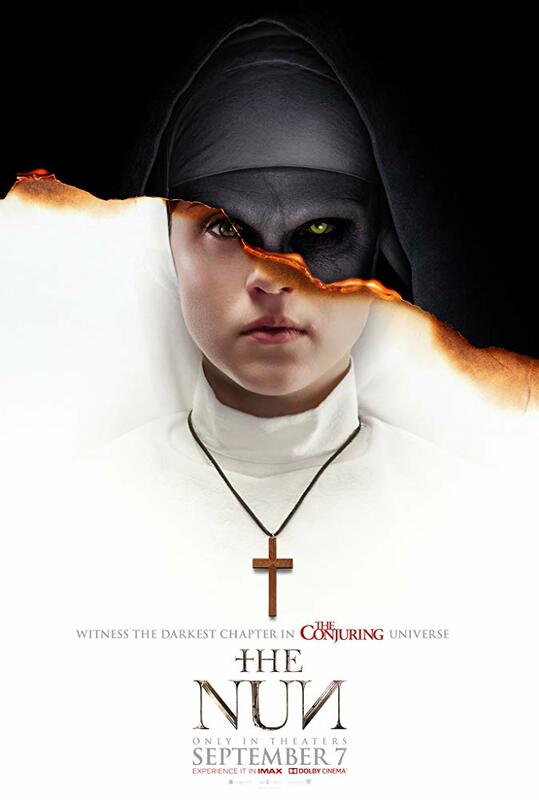 When it was all said and done, I found The Nun to be mostly a letdown. Any questions one had regarding the character of Valak after The Conjuring 2 ultimately remain unanswered. It’s a rather boring ride for the most part, with only a few memorable moments. There’s a cheap tie-in back to The Conjuring films in the film’s closing moments, but it’s nowhere near the caliber of the tie-in provided by last year’s Annabelle: Creation. Final say: If you’re into the franchise, you may find a good time here. If you’re just into horror, in general, this one can wait.